Is the Fed Hinting of a Coming Inflationary Event? Is Janet Yellen giving clues like her predecessors before her by what was the single most incredible admission in Federal Reserve history? She literally expressed that the Fed has no clue what it is doing. No wonder Fed Vice-Chair Stanley Fischer is resigning. Who would want to hang around for what’s coming? 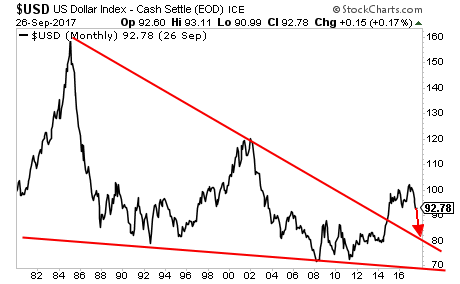 Please read the rest here; Did the Fed Just Broadcast An Inflationary Event is About to Hit?